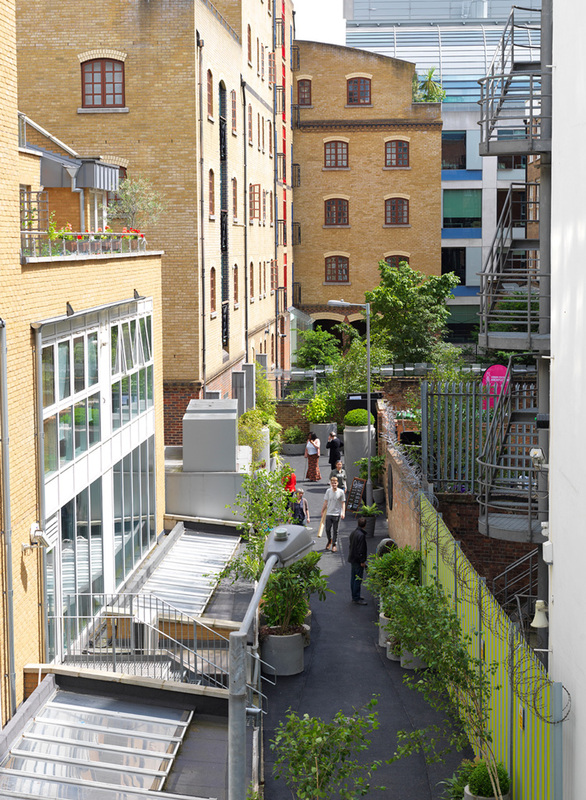 Andrew Burns Architecture has converted a network of laneways in Central London into a unique urban park. The proposal overlaid a ‘harlequin’ geometry on the site, narrowing and widening to create complex perceptions of space. 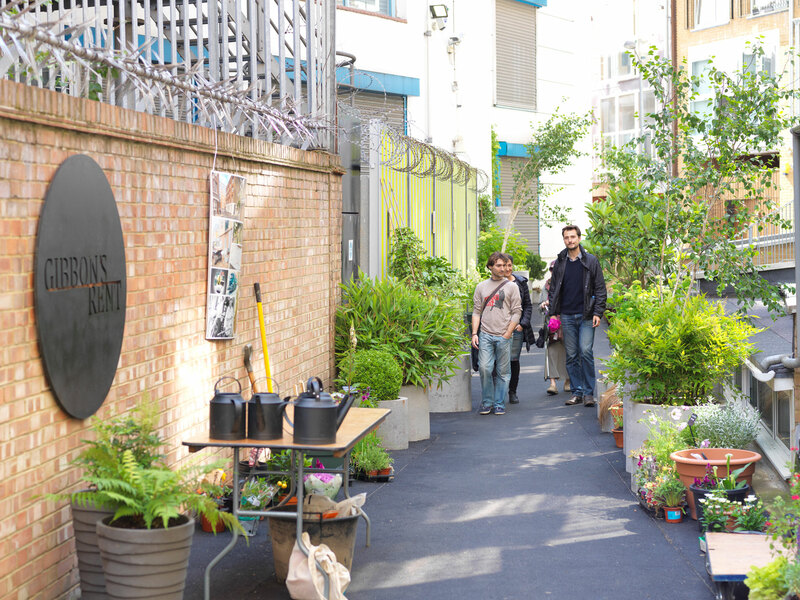 A garden bed was delineated by hot melt road marking paint applied to the low cost asphalt base, creating a zone for placement of pots, placed by the local community. 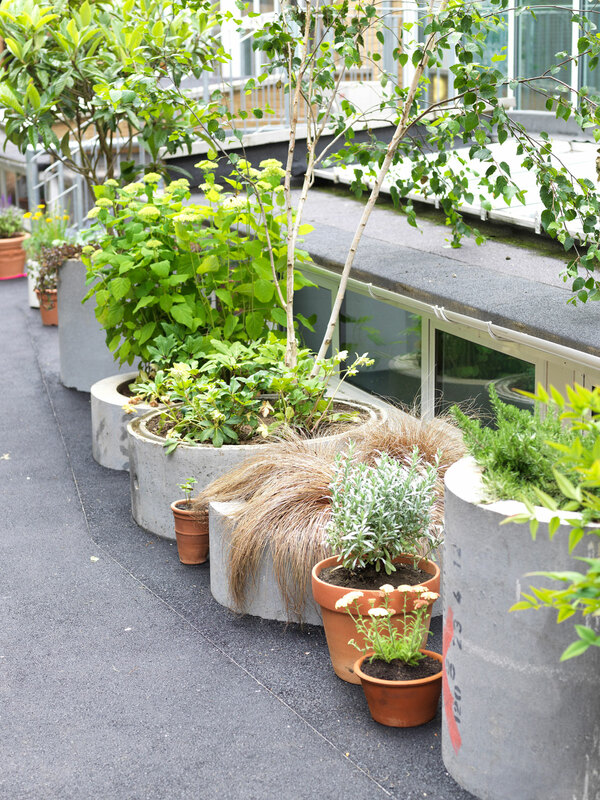 A series of key marker pots in concrete pipes initiated the garden, with planting selection by Chelsea gold-medalist garden designer Sarah Eberle. More a framework for participation than a landscape design, the proposal utilized a strategic ‘incompleteness’ to enable a sense of ownership by the local community. 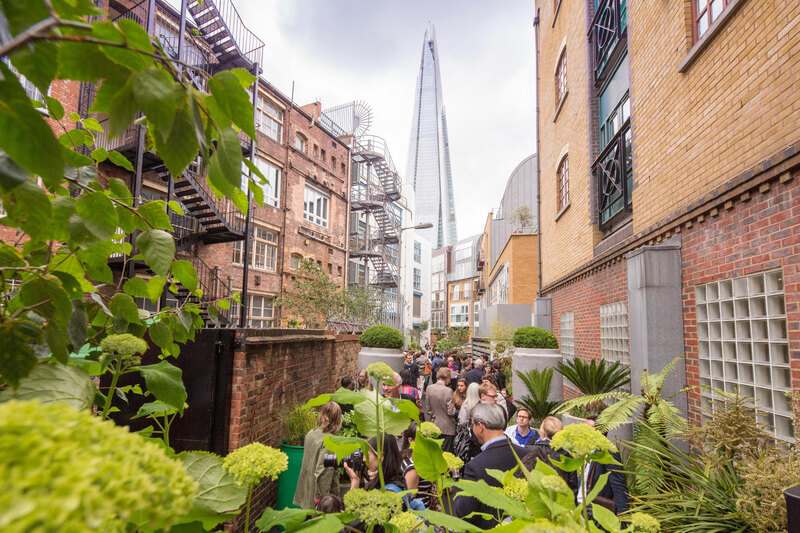 The garden is now an established place of solace and cherished by the local community.